The required version of Minecraft to run a build. Builds are compiled using SRG names, which may enable them to run on later minor builds of Minecraft. 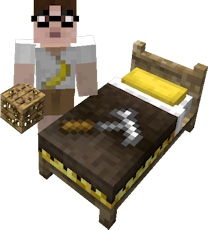 Please keep in mind this does not guarantee stability unless the Minecraft version matches exactly. The minimum Forge version necessary to run a build. If you prefer, you can grab the latest stable and verified builds through CurseForge. Optionally, you can grab the files below through various methods and file hosts. Development builds, if available, will only be linked through this page. This is a very early build, with only a handful of blocks and features supported. You can stop by the mod thread for questions or to check progress on the update effort. Mod should hopefully be more stable now! I'm continuing my efforts on adding more slopes and squashing more bugs. I will attempt porting to 1.13 if/when Forge adds support. Please note that this mod does not officially support Optifine, and you will notice lighting issues and/or other rendering issues. Fixed missing slope faces for some rotations. Updated to Forge version 1.12.2-14.23.5.2768. Fixed vine overlay bug introduced in v3.3.8. Reduced torch light level to match vanilla torches. Fixed torches not preventing mob spawns. Fixed slope rotation/type hammer interaction; left-click rotates, right click changes type. Fire properties are now side-sensitive. This enables a top netherrack cover to burn indefinitely. Players can now access Carpenter's Safes that are stuck in 'open' state due to improper shutdown. Fixed slope corner orientation bug. Fixed bug preventing sneak-click slope placement. [PATCH] Uncovered blocks can now catch fire. [PATCH] Bed designs can now be cleared with hammer sneak right-click. [HOTFIX] Corrected flower pot plant rendering for a couple Biomes O Plenty plants. [HOTFIX] Fixed flower pot not decrementing itemstack when plant is placed. Added Carpenters Flower Pot (formerly Painters Flower Pot). Flower pot components can now be altered independently. You can now add your own flower pot designs. Dye colors now use RGB from vanilla dyes. Side covers now do depth checks before popping off. Collapsible block given proper shading and slope creation. Collapsible block hammer behavior improved. Left-click raises corner, right-click lowers corner. Fixed possible crashes in the way block solidity checks are performed. Added hammer right-click sensitivity setting to daylight sensor. Legacy versions and old source code packages can be found using the button below. 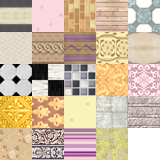 Download below contains 32x/64x/128x textures. 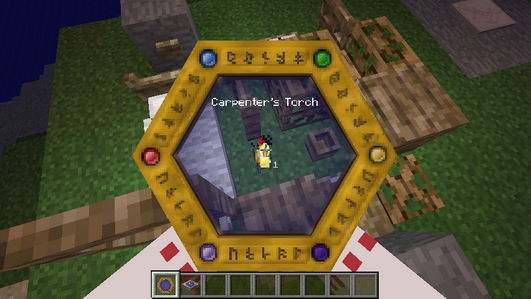 This add-on is brought to you by zot201, and adds Thaumcraft aspects to Carpenter's Blocks. 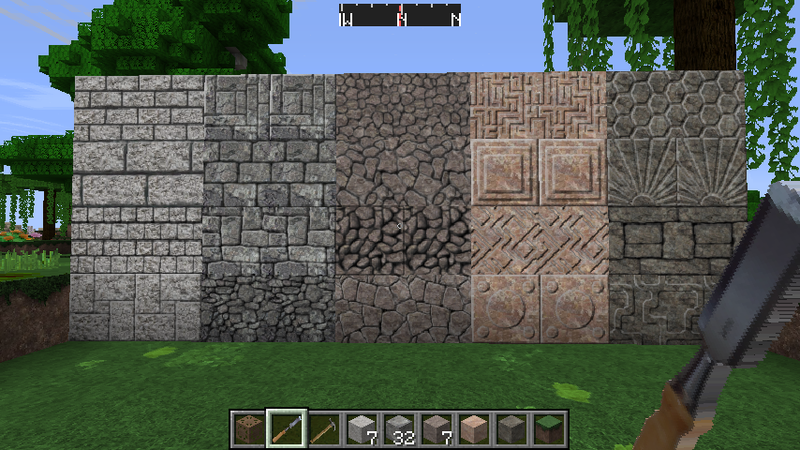 Below are the known published texture pack add-ons for this mod. They are maintained by the community and may be outdated. If you would like to create your own hammer or chisel that work with this mod, you can use the interfaces provided by the API. An IWrappableBlock interface is also provided to allow greater control over your blocks when used as covers.